We had a leaking faucet. It dripped for over a year, we could hear it while we watched television in the other room, and got to a point where Mr. TellBlast couldn’t take it anymore. So he replaced the faucet. The faucet was so gorgeous that the rest of the room looked pretty crappy, and now…. We’re updating the powder room. Pretty awesome, huh? Not. 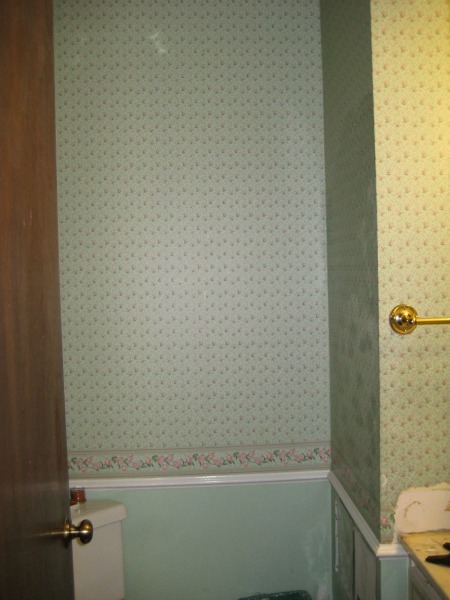 The wallpaper is roses. 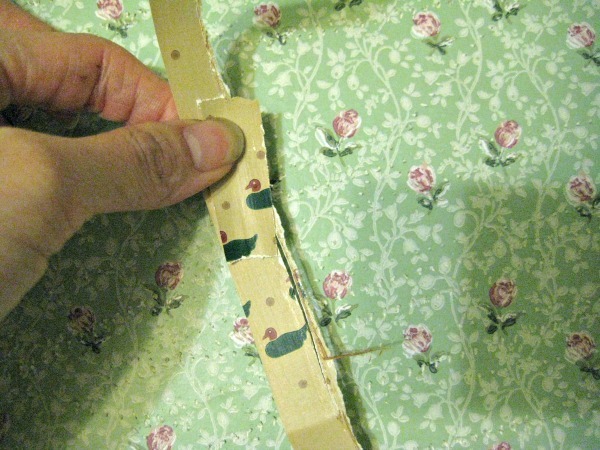 And under that, used to be duck wallpaper. I found the ducks under the trim around the door frame. I spent some time working in here every night for a few nights. 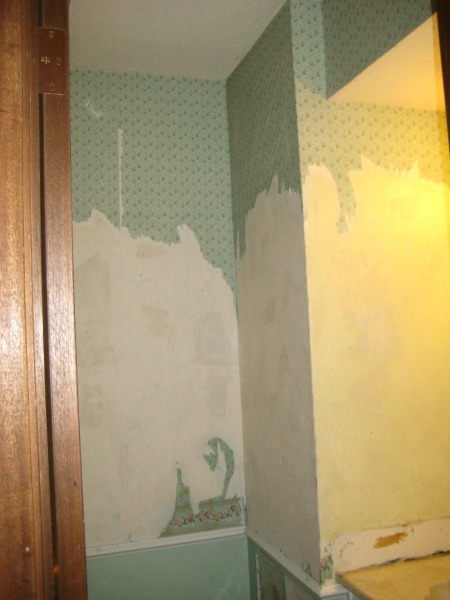 Removing wallpaper is not expensive, but time-intense. If you need to buy a wallpaper scorer, go for more teeth rather than less teeth. 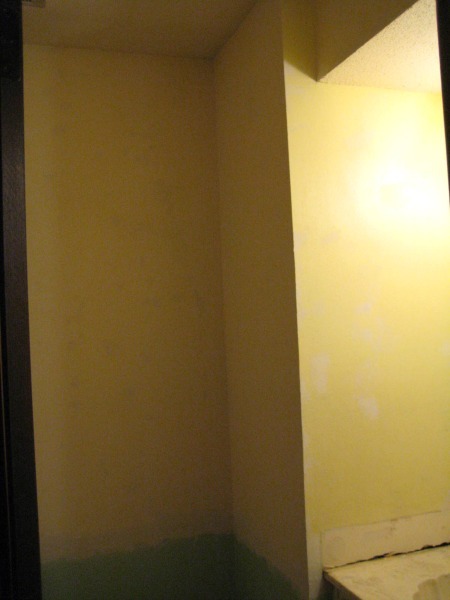 Because the room is rather small, I bought pre-mixed gel to spray on the wallpaper instead of the mix-your-own. Total cost was about $30. Remove sink and cabinet. Cap off water. Remove medicine chest. Patch drywall. Make a cabinet for the niche. Install new cabinet and sink. Turn on water. Trim and install new hardware. Here’s a shot of our paperless walls. This entry was posted in remodeling and tagged bathroom. Bookmark the permalink.